The complete scene can be seen here. Nowadays, in most cities, this old woman would receive many complaints from the public and she would probably get a fine from the police because the city council has forbidden feeding birds. 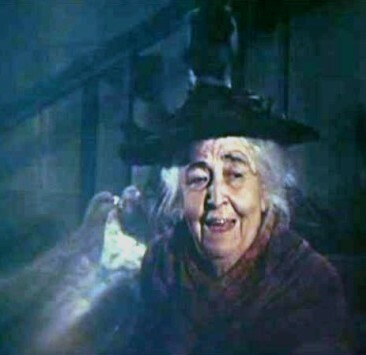 It is said that the Feed the birds song was Walt Disney's favourite song. Fragments of this song are played during the most important moments of this film. 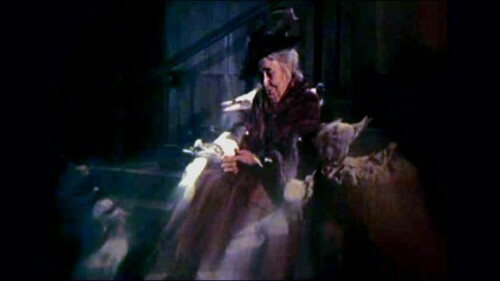 Walt Disney personally gave the role of the old woman to Jane Darwell. This was her last performance. 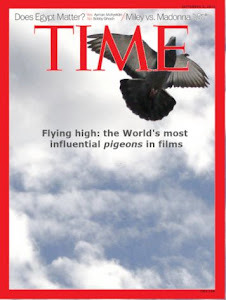 Pigeon activity: They are the typical Londoner pigeons. Symbolism: there is no special symbolism. Relevance: Medium. 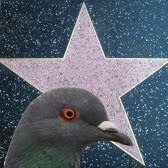 The pigeons are secondary characters. 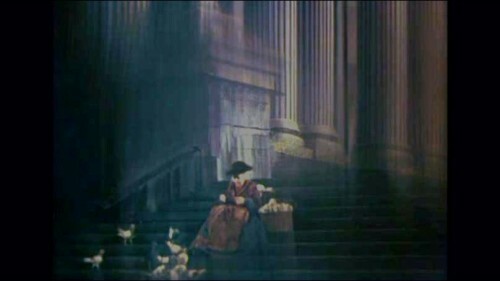 However, their friendly attitude during the feed the birds song enhances the scene's realism. Jane Darwell was a very good actress and this is one of her most remembered performances. Training level: High. They behave very naturally and friendly.